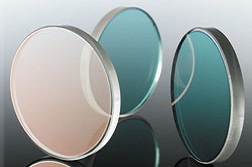 These UV transmitting filters are made from Schott color glass. 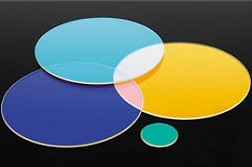 They may be used to attenuate visible parts of the spectrum such as that obtained from a mercury lamp, for example. 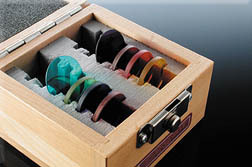 These color glass filters are made from Schott (or equivalent) color glass. 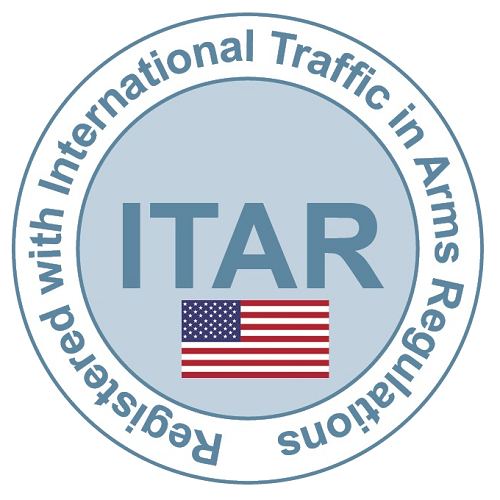 They may be used to eliminate UV radiation and permit the visible part of the spectrum to pass. 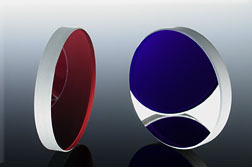 Color glass filters are the simplest components which can be used to shape the spectral distribution of an optical system. They can be used to modify the output of a source or the responsivity of a detector. 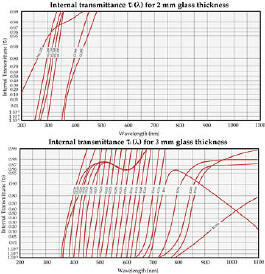 The transmittance of these filters is well known and documented -see curves on the following pages. 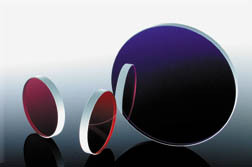 These infra-red absorbing glass filters may be used to reduce the amount of IR radiation which is transmitted through an optical system. They are effective but will need forced convection cooling if large amounts of heat energy are being generated by the light source. "0.5" dia, "1.0" dia, "2.0" x 2.0"